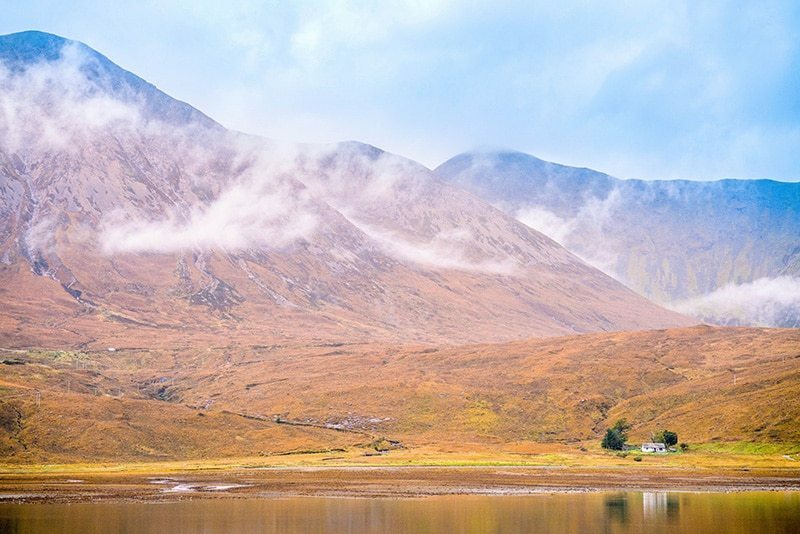 If you’re coming to the Isle of Skye Scotland, don’t miss these unbelievable sights! 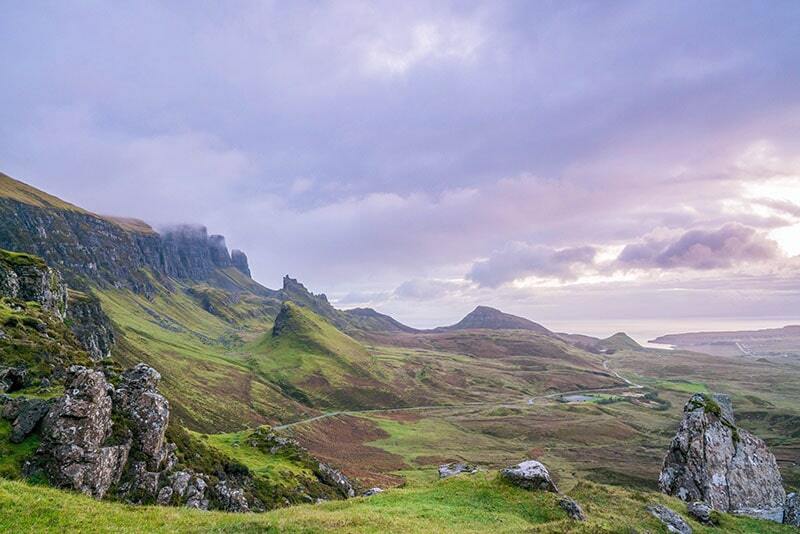 From surreal natural landscapes to ancient castles, the Isle of Skye has it all! 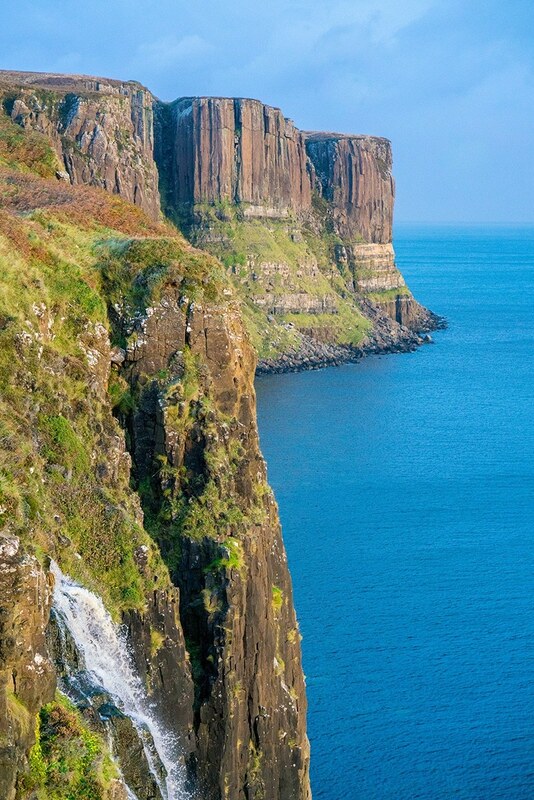 The Isle of Skye is one of the islands of the Hebrides in the northwest of Scotland. Full of dramatic landscapes, ancient ruins, quaint villages, friendly people, unpredictable weather and more sheep than people, the island is a world of its own that hasn’t changed much in the last several hundred years. 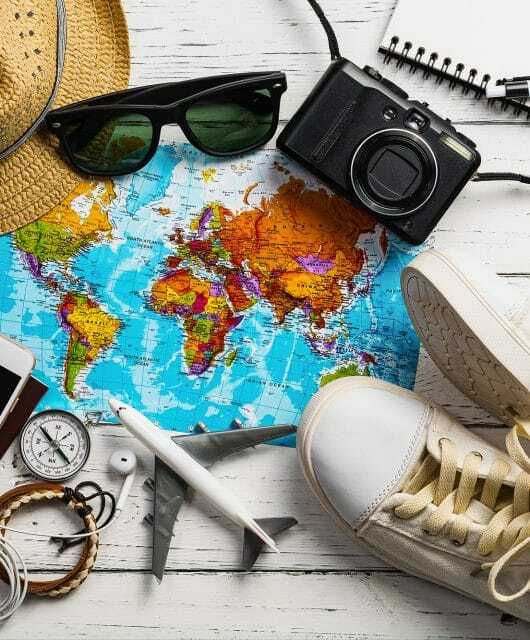 There are plenty of small hotels and Airbnbs throughout the island, which is small enough to stay anywhere and still have easy access to all the sights. 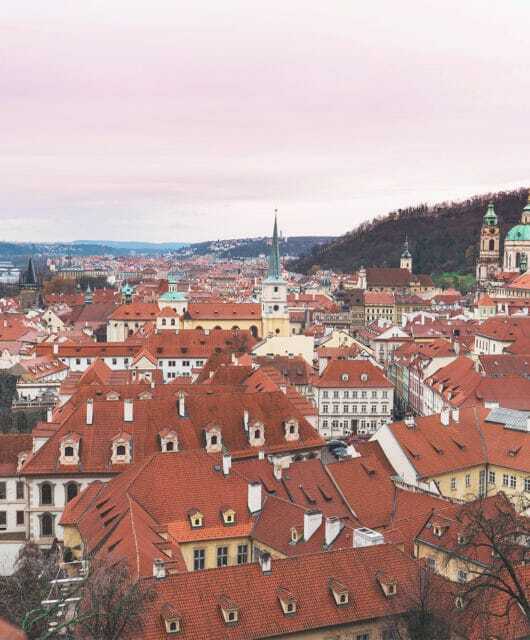 Finding a place to stay is surprisingly affordable. I stayed in a small hotel in Uig for $60/night. It was nothing fancy, but had everything I needed. Getting to the Isle of Skye- Is there a bridge to the Isle of Skye? Yes there is a bridge! The Isle of Skye is easily accessible by car via the Skye Bridge which connects it to mainland Scotland. It’s about a 5 hour drive from Edinburgh, about 3 hours from Inverness and 3 hours from Glasgow. If you’d rather not worry about driving to the island or on the island, you can take a tour through Rabbies. They will pick you up in Edinburgh and take care of all the details, all while entertaining and educating you in small tour vans. 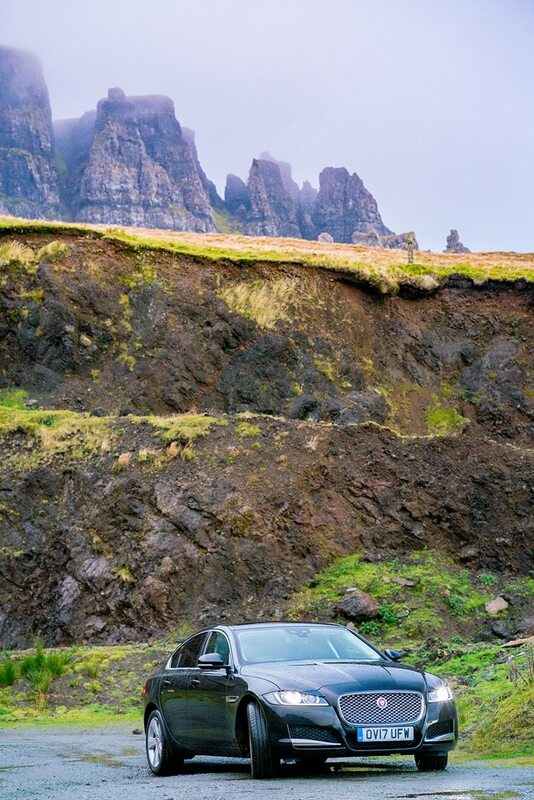 Driving on the Isle of Skye can be a little tricky. First of all, you’ll be driving on the left of course, and almost all the roads are “one track roads” meaning that both directions share one lane. There are passing places which are labeled with “passing place” every few hundred feet. If you see a car coming and you’re near a passing place, pull over to the left. If the passing place is on your right, stop on the left hand side of the road and let the oncoming car pass through the passing place. Do not cross over and pull into a passing place on the right! This giant sea cliff which resembles a kilt with pleats is a sight to behold, especially at sunrise when the sun reflects off the rocks. This is easily accessible with a parking lot overlooking the rock. This supernatural mountainous area must not be missed. You can park and observe its beauty (bring your camera) or you can walk the Quiraing which is amazing! Created by a massive ancient landslide, this large pinnacle rock can be seen for miles around on a rare clear day. You can take the 6.5 mile hike up to the top if you’re up for it. 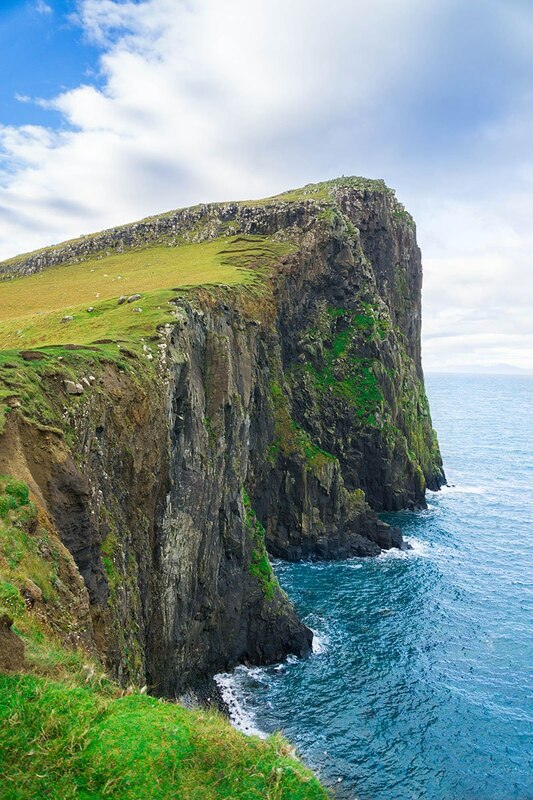 The stunning cliffs at Neist Point alone are worth the trip there, but you can also walk down the path and view the lighthouse. This Castle has been owned by the Chief of Clan McLeod for centuries. The Chief and his family still visits the castle. 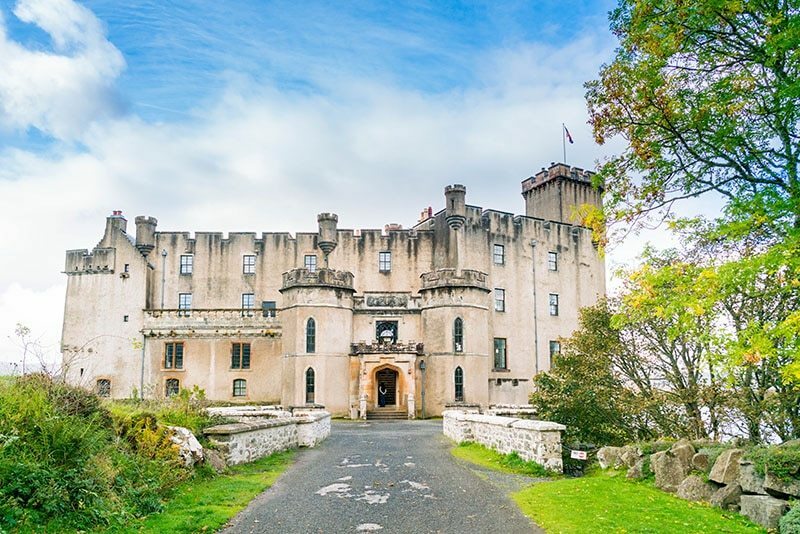 You can tour the grand castle, but the true magic of Dunvegan Castle lies in its gardens and wooded pathways. 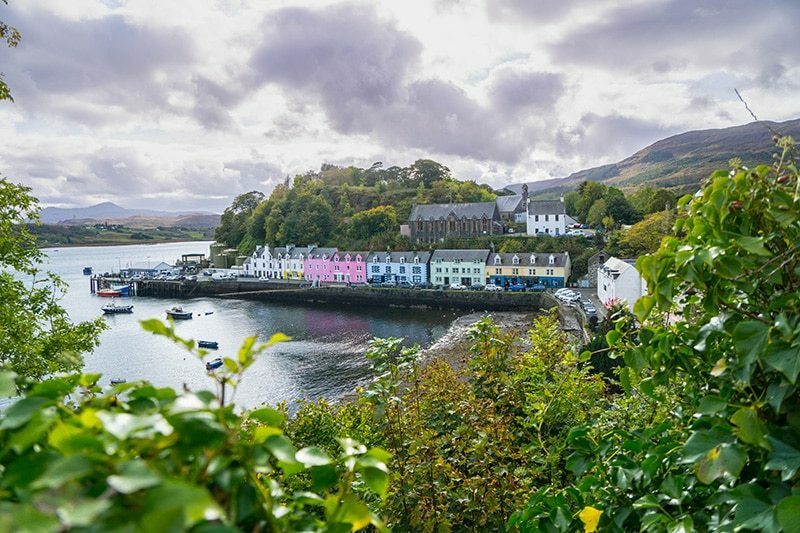 The capital of the Isle of Skye, Portree is a quaint and colorful town with great restaurants. Be sure to eat at Marmalade and try the sticky toffee pudding, which the chef has perfected over the last 20 years! 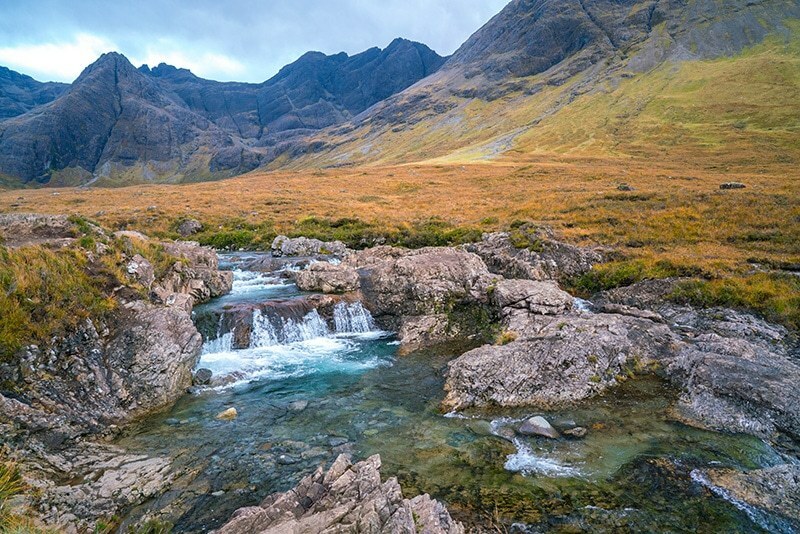 One of the most photographed places in Scotland, the Fairy Pools take a bit of effort to get to. 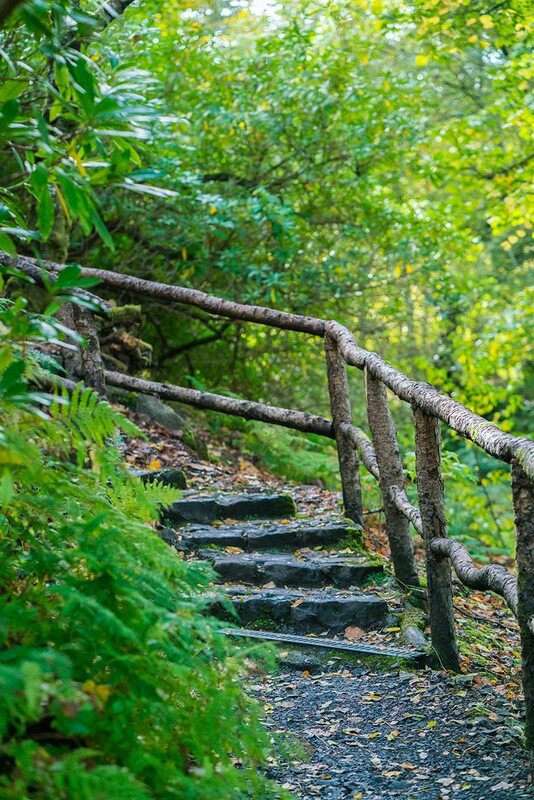 About a mile walk through stunning scenery, you will be greeted with blue pools and waterfalls. 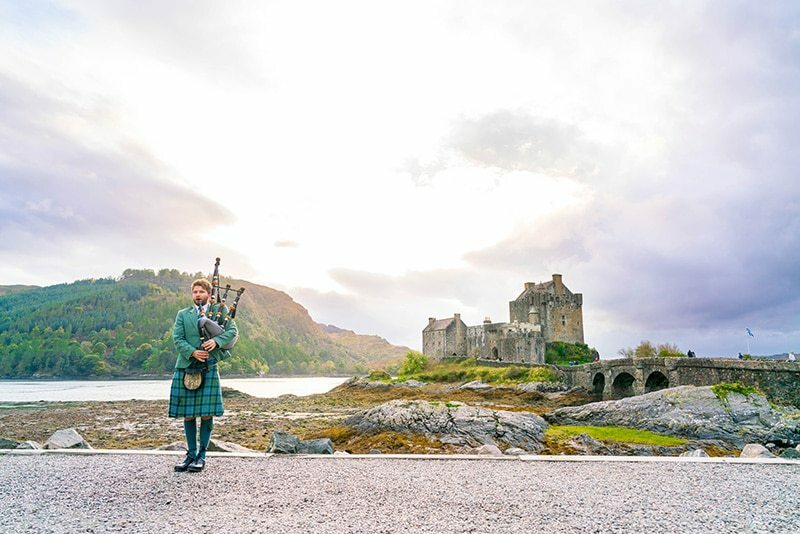 While not technically on the Isle of Skye, you will pass Eileen Donan Castle on your way to the island and it is not to be missed. 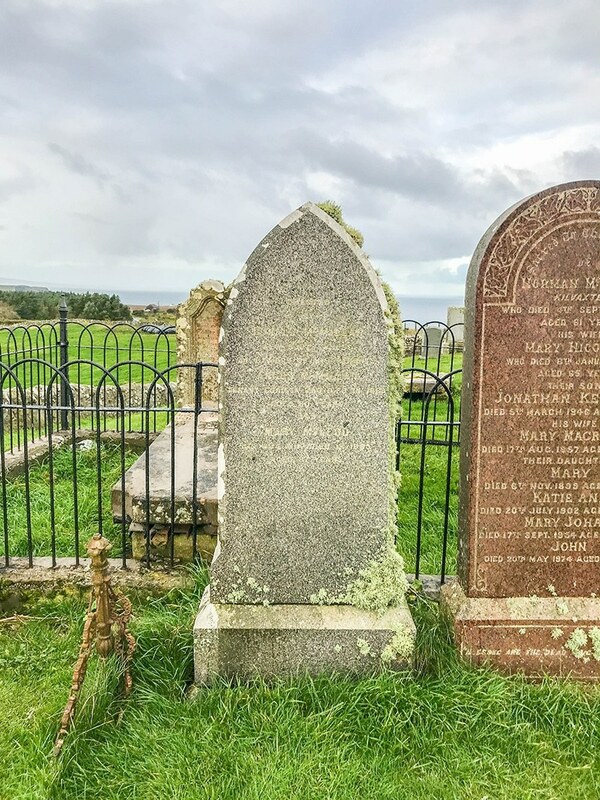 Take a drive up to Kilmuir Cemetery and visit Flora MacDonald’s memorial. Flora MacDonald was a famous Jacobite woman who aided Bonnie Prince Charlie in escaping following the battle of Culloden. She dressed him as a woman and smuggled him onto the Isle of Skye. Coincidentally, I found her grave while searching for my ancestors’ grave which is just a few feet away! 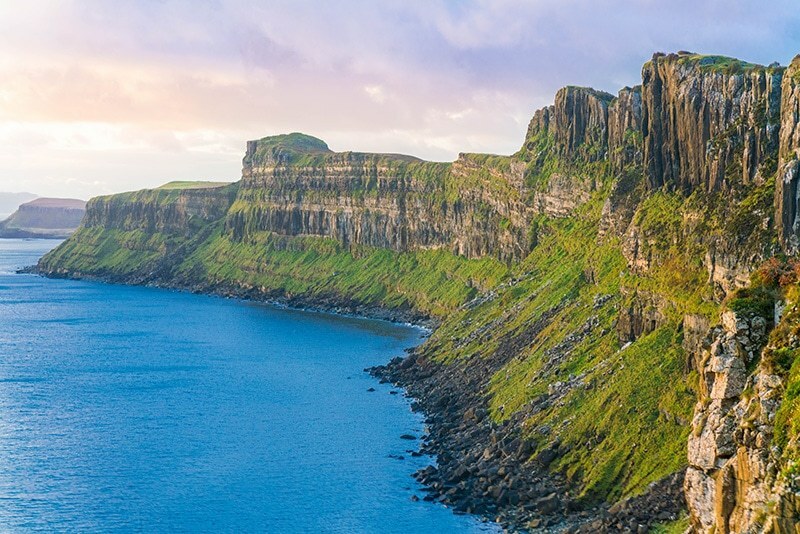 Don’t miss these incredible sights on the Isle of Skye. There is so much to do in Skye, but whatever you choose to do, you won’t be disappointed. There’s no place like it on Earth! 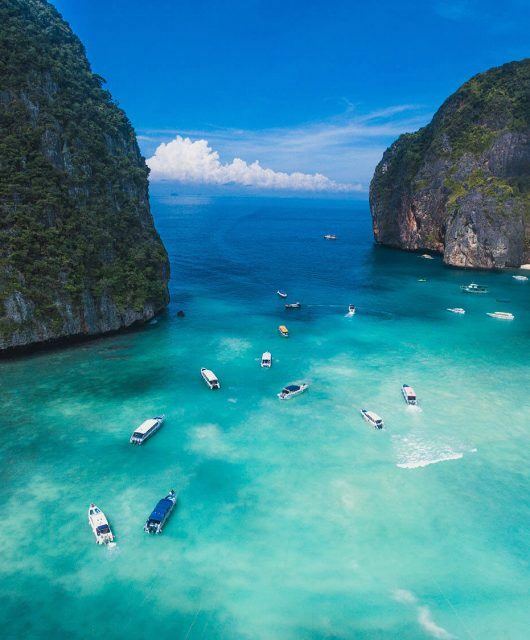 What an incredible place!! 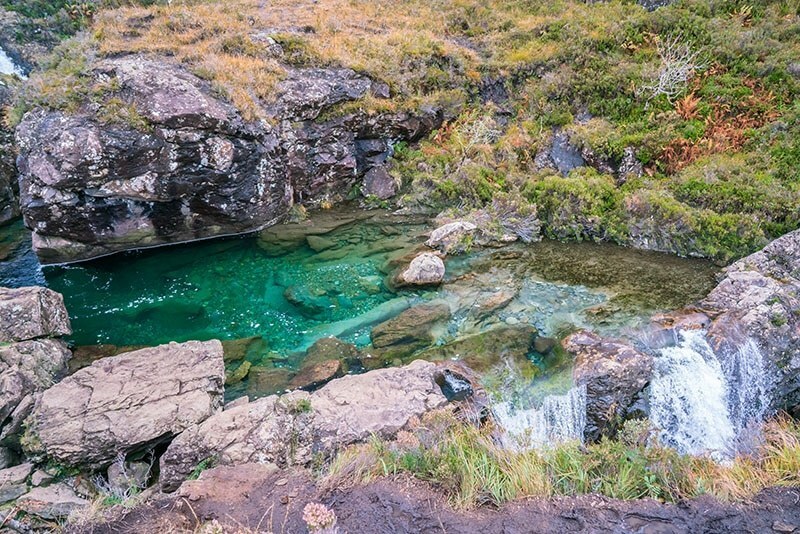 Can one swim in those Fairy pools? I can see my daughter swimming away regardless of how cold the water may be, lol. 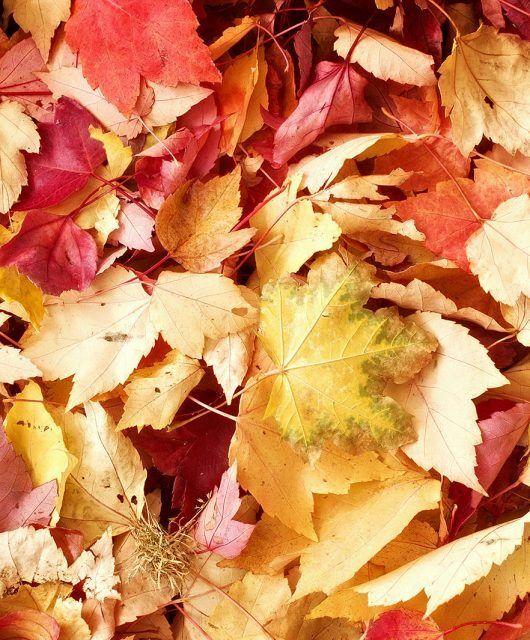 Stunning photos and great info! 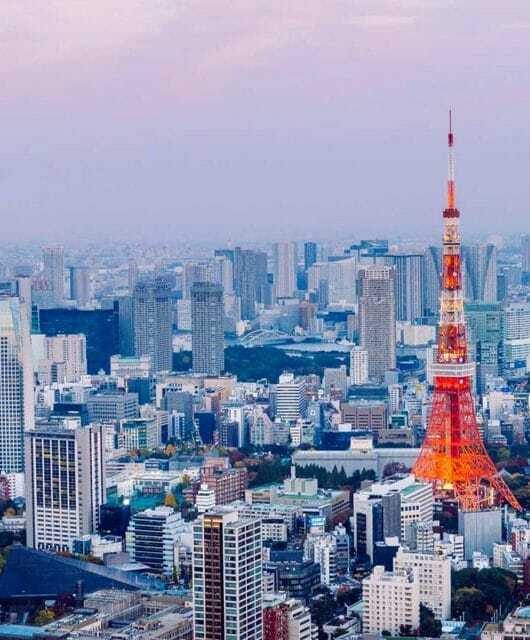 Can’t wait to make it there. My family left there and headed to PEI Canada years ago. It looks amazing. Thanks for sharing. Excellent goods from you, man. I’ve understand your stuff previous to and you are just too magnificent. I really like what you have acquired here, really like what you are stating and the way in which you say it. You make it enjoyable and you still take care of to keep it smart. I can’t wait to read much more from you. This is really a terrific site. I’m interested to know which blog system you are working with? I am having a few small safety difficulties with my most recent website dealing with quotes and I would love to find something far more risk-free. 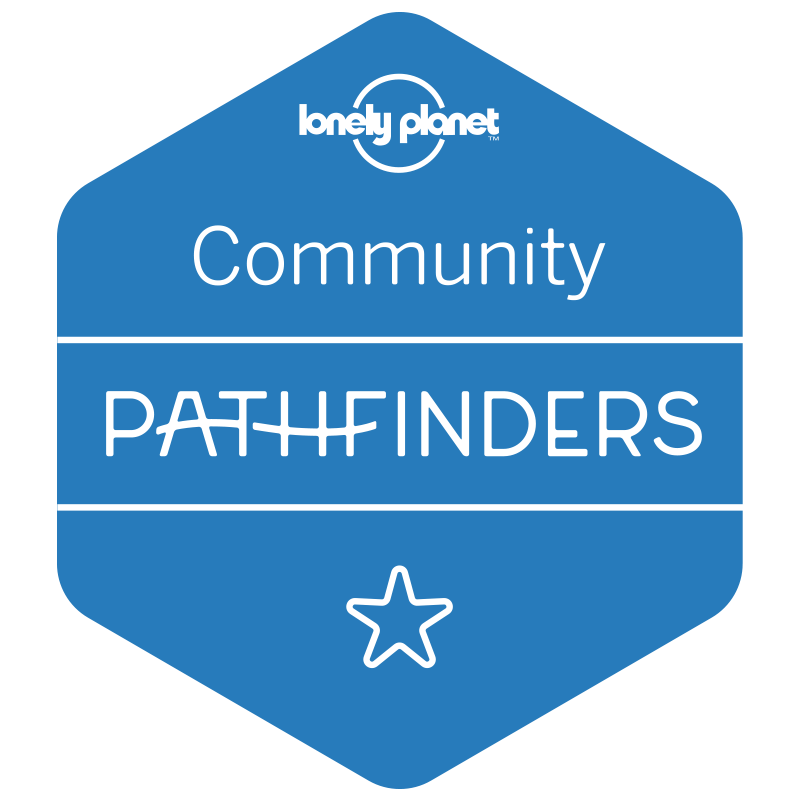 Do you have any alternatives? Many thanks for sharing the idea, I bookmarked this website. I’m furthermore in need of guidance about best running headphones, are you aware the place where I might discover something like this? I will be back very soon! What i do not realize is actually how you are now not really a lot more smartly-liked than you may be right now. You’re very intelligent. You know thus significantly on the subject of this topic, made me in my opinion imagine it from numerous numerous angles. Its like men and women are not interested except it is one thing to accomplish with Girl gaga! Your own stuffs outstanding. At all times maintain it up! Hey, what do you think regarding grey upvc windows? Very cool topic, isn’t it? 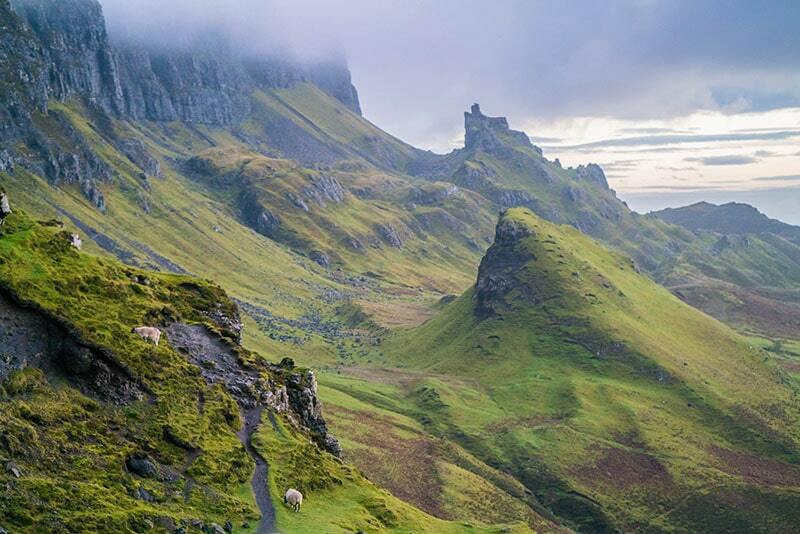 The Isle of Skye is much farther from Glasgow than 3 hours! It is at least 4.5 hours and closer to 5 if you get stuck behind slow traffic. Thank you Maggie! That is good to know! And yes definitely easy to get stuck behind a slow lory!